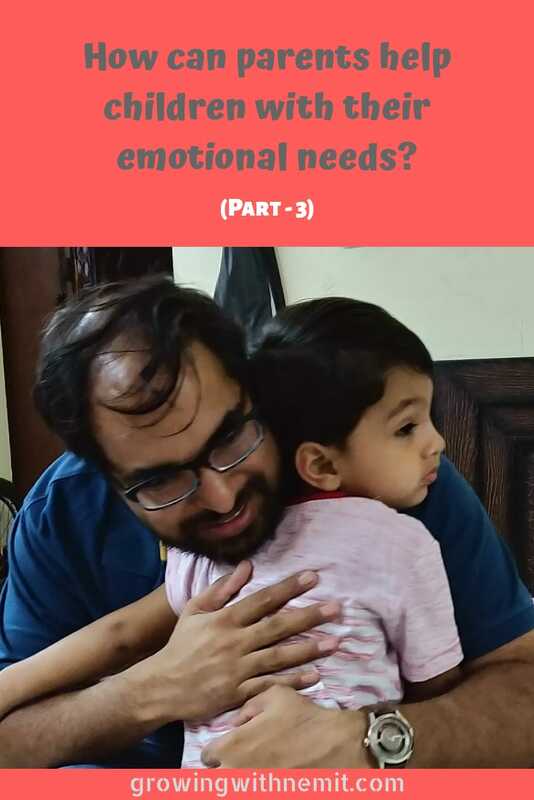 Hey guys, finally am sharing the last post of the series on Emotional Needs of children. 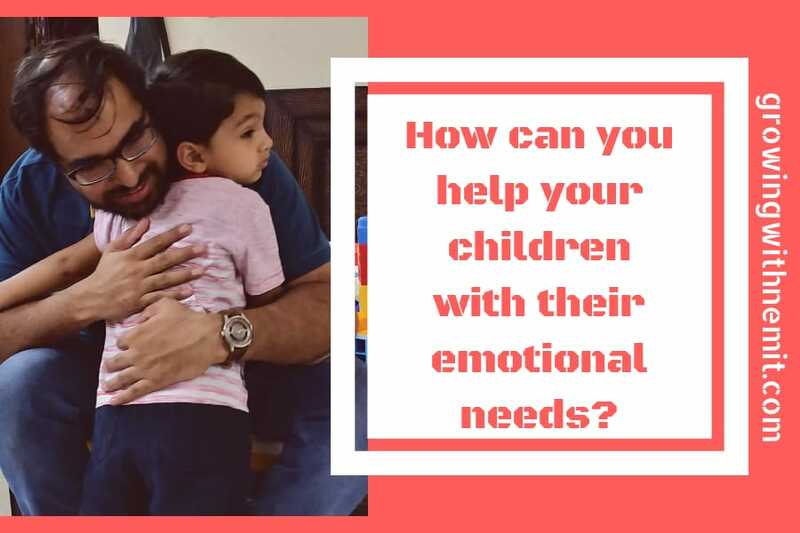 This post is about understanding the emotional needs and then taking the right actions to tackle child behavior. In the first post, I had shared why we as parents or caretakers should understand the emotional needs of a child. In the second post, I shared what are the emotional needs of a child and how emotions affect their behavior. 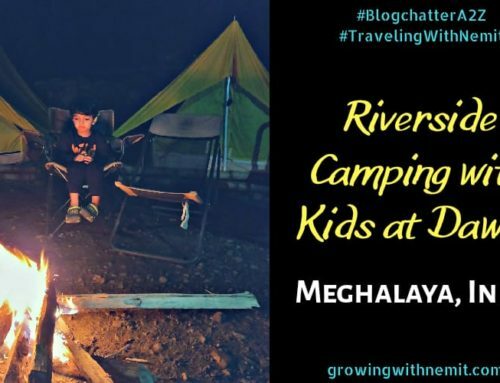 And in today’s post, I am going to share how we can help our children by understanding the factors causing emotional turmoil & extreme behaviors. Our children look up to us in every way because they trust us. And to keep their trust, it becomes our duty to be actively involved in their development. And to also understand and fulfill their needs! 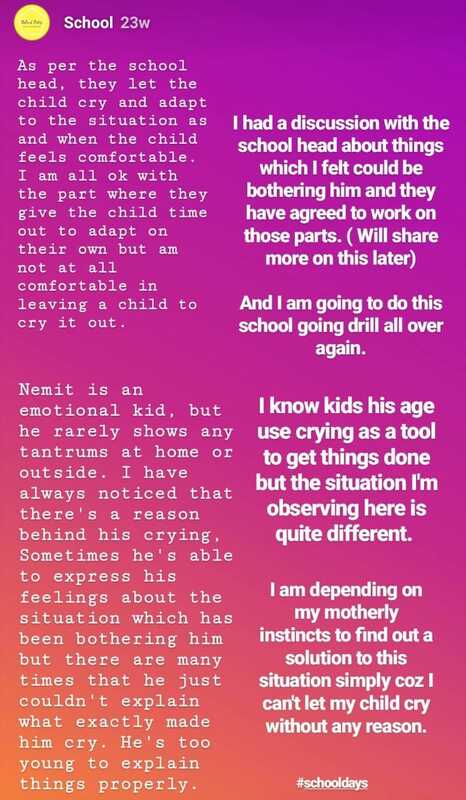 So, when we started noticing behavioral changes in Nemit, we kept a watch on him through CCTV (live streaming facility provided by playschool) while he was at school. It became a task for us to understand why was he suddenly behaving so weird. My husband and I noticed a lot of change in our daily schedule during the last 2 weeks just before we saw changes in Nemit. 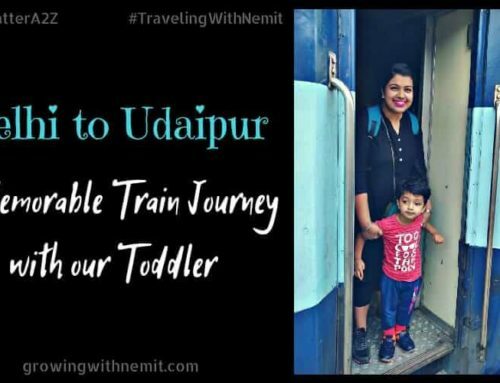 We have been traveling a lot lately which meant Nemit was also experiencing the change of place and people quite frequently. It is not easy for kids to adjust to changing routines in the blink of an eye. And they take their own time in adjusting to such situations. Initially, we completely overlooked this part while addressing the issue. Another situation which could have hurt him emotionally was my bad health. I was not keeping very well during the same time period. That’s why I was not much involved with him during his play and activity time at home. And because he spends the rest of the day with me after coming back from school, he could have been missing my complete involvement. It is definitely not easy for kids to understand what an illness is. And what to expect when the parent is sick and not in their usual self. Also, we are a nuclear family, which means there is no other family member who could take over the situation and take care of Nemit. One more point which I want to consider here was Nemit’s on & off cold & nasal congestion. He catches a cold quite often since he started his playschool. Usually, the common cold does not affect him much and he stays active and happy throughout. But considering the other scenarios at hand, I think cold also worked as a trigger for his cranky behavior. When Nemit joined the school, for the first few days I used to stay with him inside the class. I saw that the class teacher was paying equal attention to each and every kid. They were offered toys and were allowed to play on their own. However, when I watched the CCTV footage during the period of his crying, things were different. I saw a completely different nature of class teacher & her way of handling kids. 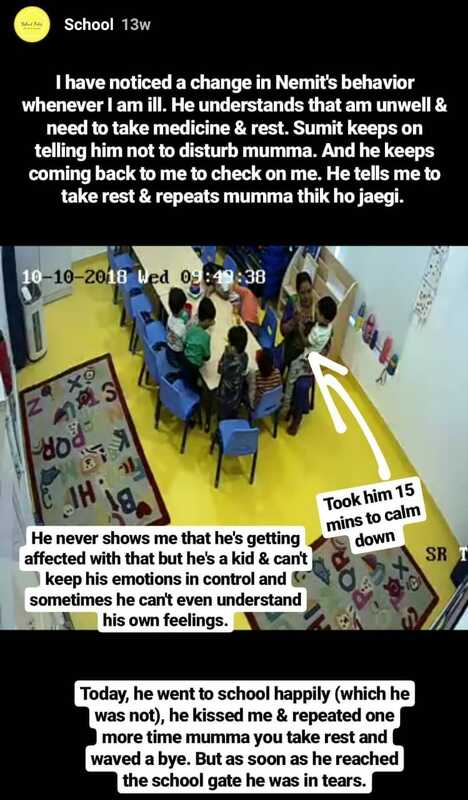 In one video, I saw his teacher holding him by the shoulder and scolding him, which was a red alert for me considering they have a ‘no touch’ policy. We are Ok with scolding if the situation is getting out of control and that’s the only option left to make the child understand. And we are also Ok with teacher hugging and consoling the child if that’s what would make him feel better. 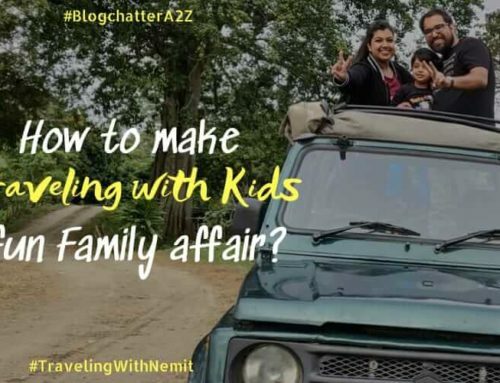 Since Nemit is a super active kid, I try to channelize his energy using play-based activities at home. Following some of the Montessori principles have also helped us in keeping his excess energy in control. 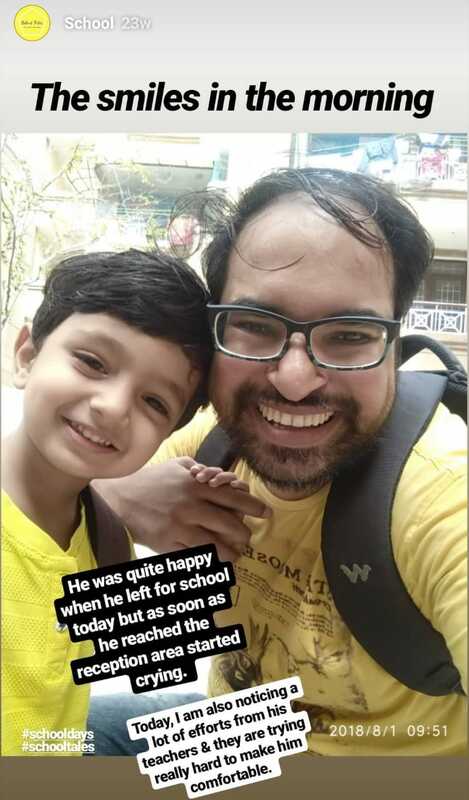 However, at school, he was left to follow the teacher’s instructions which I feel is not the correct way to discipline young toddlers. 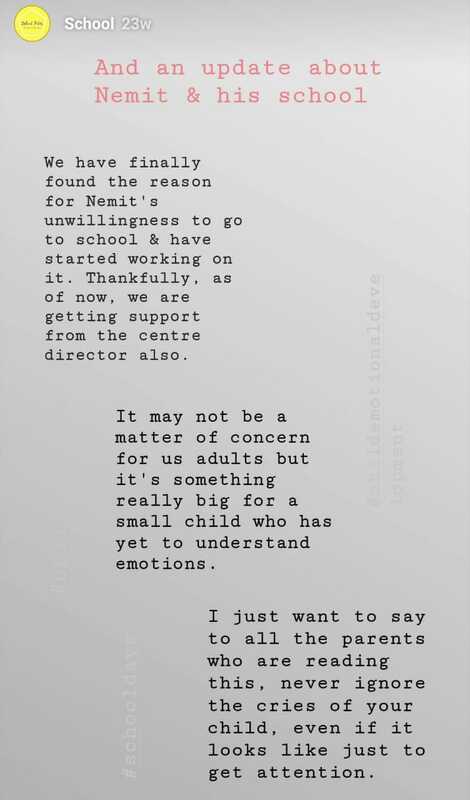 I also felt there was a lack of emotional connect between the teacher and the kids. We discussed all our concerns with the Center Director and she promised us to look into the matter. We are glad that she took our concerns seriously and implemented the changes instantly. In just 2 weeks Nemit was back to his usual happy active self. His teacher started paying attention to kids and I even saw her hugging kids to make them feel better. Let the kids be kids! at least in a playschool. It’s time to conclude this post here. If a child shows any sign of changed behavior, parents should jump into the matter to find out the reason. The emotional needs of a toddler are higher than we anticipate. They need lots of love, understanding and appropriate guidance. And when searching for answers, always look at a greater picture. As parents, we are bound to come to conclusions very fast. And then we blame either situation or the child or even ourselves for our child’s negative behavior. Just remember when a child cries, feels upset or throws a tantrum, there is a reason or some stimuli behind this behavior. Parents should look at all the possible factors causing the changes. And then take appropriate measures to deal with the problem. I hope you find this series helpful in understanding the emotional needs of your child. Wow!! Eye opening! Thank you so so much for sharing this! 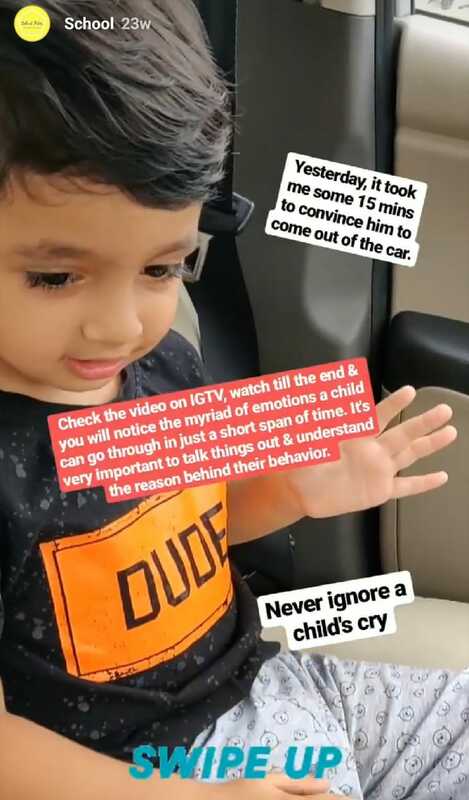 As a parent its our job to be aware of our kid’s emotional need.This will go a long way in creating positive self-esteem in the kid, and you have explained this beautifully in your post. This is true, kids never reliase their own issues and we at times have to judge things basis our parenting judgements. 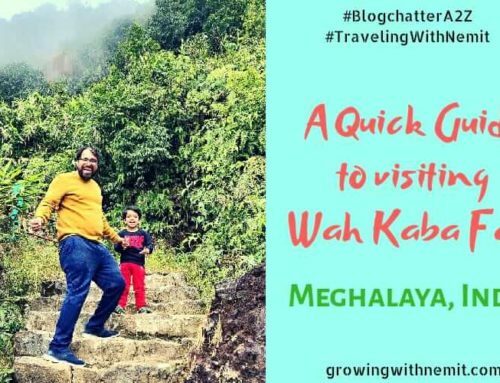 Great and information series Neha. It’s eye opening one for everyone! What a detailed description! A perfect solution for the tantrums kids throw in! i always try to be there when my son cries. Picking him up and letting him know that i am there for him. I read it somewhere it helps them emotionally. Very sensitive and accurate post my dear, and I can’t agree more with you 💗. I also wish to go back and read the first two posts of the series dear. 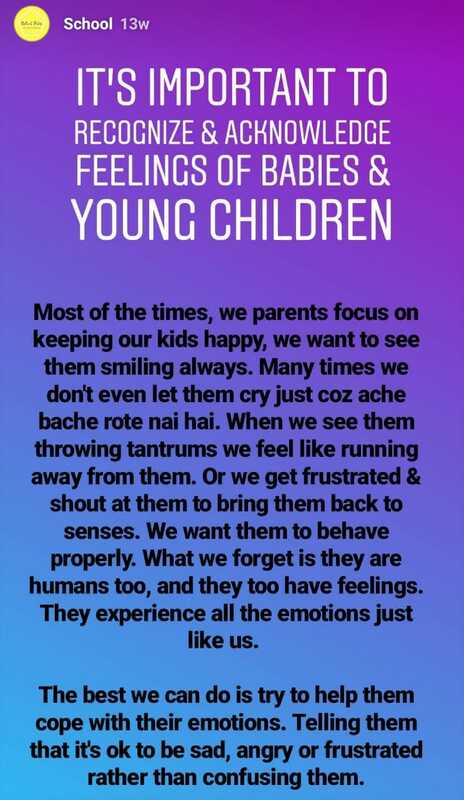 Very well written dear.. We parents should understand our kid’s emotional situation properly.. The post is really an eye opener.. Loved it.. 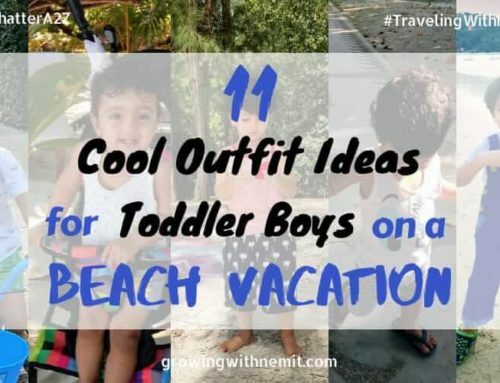 This post is so helpful to all the moms. Kids got through more emotions than we can imagine and it is indeed important to address their emotional need. Beautifully written.